tries to grasp dynamic change. 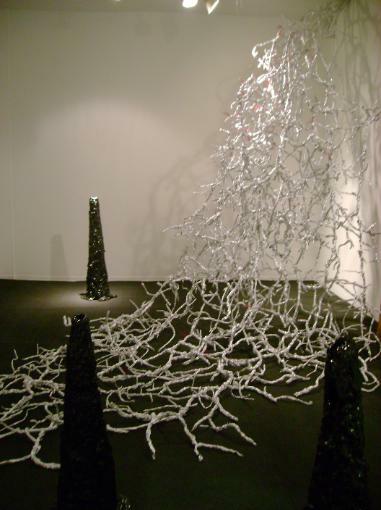 analogous structures out of papier maché, paper clips, or whatever else comes to hand. wonder right at its edge, as it scatters and soaks into more ordinary things. ghost of a bird, as small shining colors bloom in a desert of effort and time. interactions of art, design, and use.